If you follow me on Instagram, you probably know that I got to take part in a fun competition hosted by a new thrift store in American Fork. The store is called Tag’s and their grand opening is this Friday. Scroll down to the bottom of this post for more information about the store and the contest. 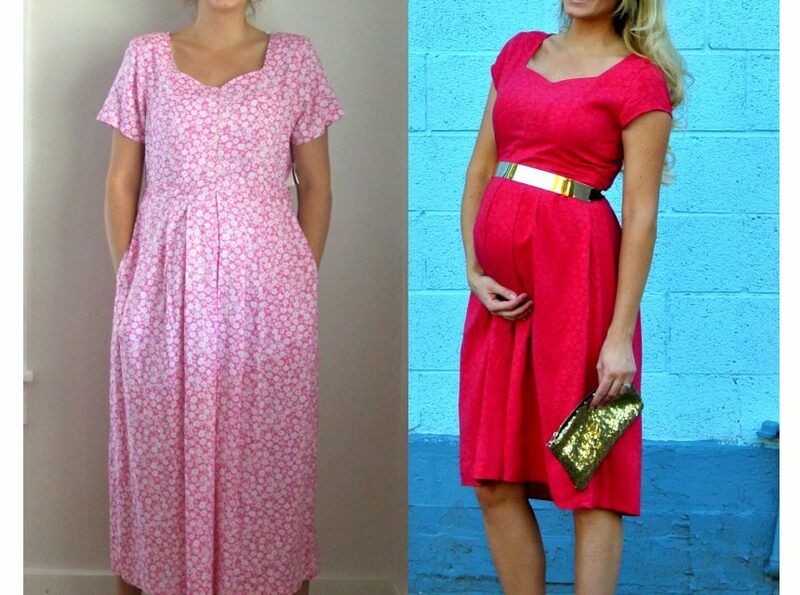 Being kind of pregnant (I turn 26 weeks today) I have been struggling to find things to refashion as of late. That’s until I found the fabulous pleated dress pictured above. The pleats. It’s always the pleats. They save me every time, like they did with this skirt and this dress.. I was also stoked that it was 100% rayon–that meant it would take dye beautifully. But most of all, I just loved the neckline. I knew all it needed was a contemporary twist. 1. Cut and removed shoulder pads. What to do with these now? New coasters? 2. 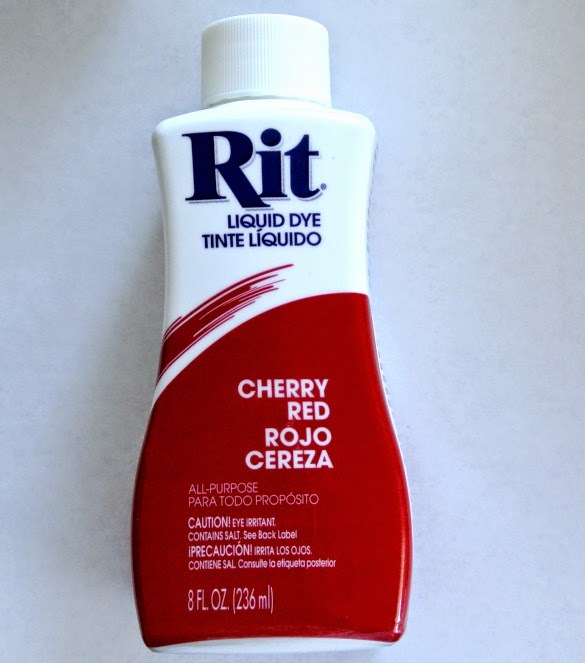 Used Cherry Red Rit Dye to change the color. The original floral pattern is now very faint and almost unnoticeable. To learn more about the dyeing process, please see my other rit dye post. 3. Once dried, I used a seam ripper to remove all the buttons down the bodice and the two along the waist that held on a matching belt. I also carefully removed the button loops. 4. Alterations- I took in the side seams for a snugger fit along the top of the bodice. I also took in the bottom of the sleeves before making them into capped sleeves. Lastly, I took up the hem for a more modern look. After these refashion steps, all I needed was the help of some accessories and I was done. Please excuse me now while I flood you with after pictures. I may not have mentioned that I got to pick TWO items out. This dress was my second item. It was marked at $8. What a steal! 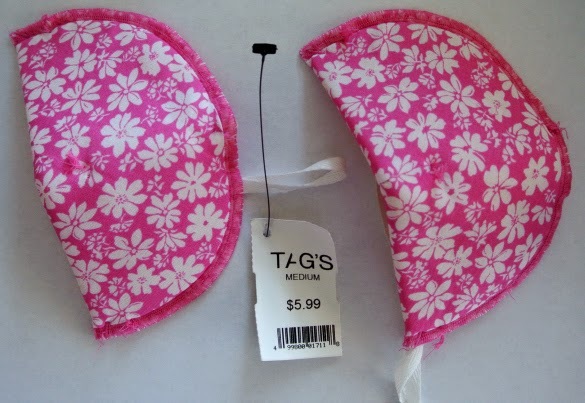 As an avid thrifter myself, I would define Tag’s as upscale thrifting. The layout, which includes a bakery and reading area complete with local artists’ work, gives you the sense of a cozy coffee shop rather than a dusty thrift shop. They also have higher standards for their merchandise, which they collect from multiple states. Part of their store mission includes an incredible humanitarian effort that is funded by the clothing donations. Outside of local fundraisers, they work largely to help impoverished families feed themselves by diversifying the crops the family grows. Pretty cool stuff if you ask me. Several bloggers were invited to pick out two items from the store. 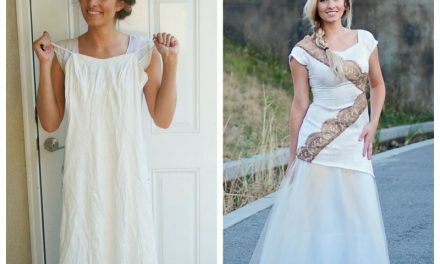 I picked one to refashion and one that I just thought was beautiful. We were challenged to create some kind of media about the product and share it via social media. Every like, share, comment, repin and so forth counts as a point, using hashtag #tagsthrift if applicable. Whoever gets the most points wins a cash prize and an advertising deal, and the next three runners up win a smaller cash prize as well. On top of this, there is also a creative content competition that will be judged by a panel of bloggers and marketers. So feel free to like/pin/comment etc all you want! Great job refashioning your red dress. I love the neckline too! It looks great and I love the new color! good job! What an awesome idea! I never would have thought about dying a print… thanks for sharing! The dress is super cute! I’m very impressed by the transformation! 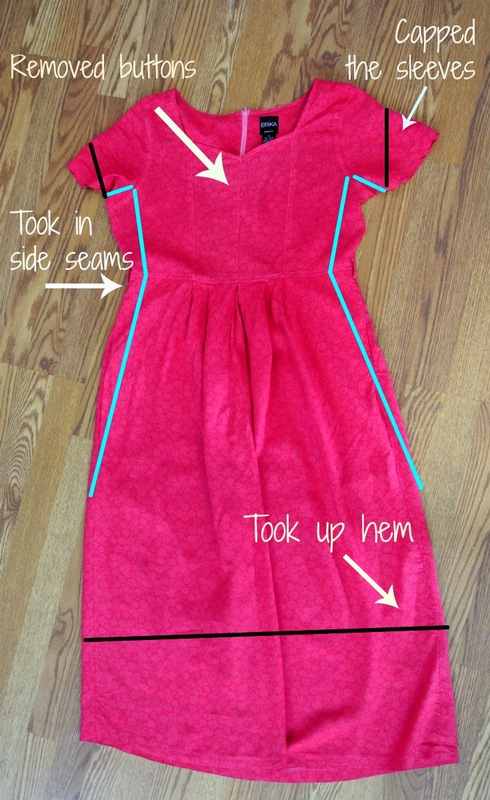 Kara – you are so talented at refashioning! 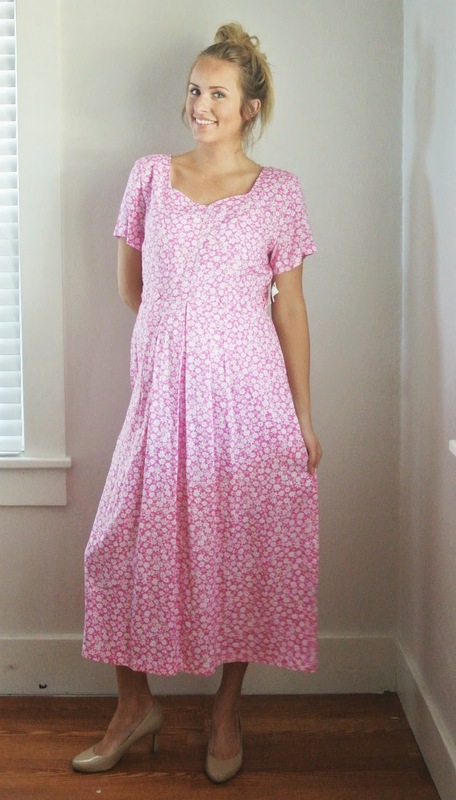 Love what you did with the sweetheart neck dress! The black dress is beautiful too! Kara you are simply amazing at recreating! You gave that dress a full 360! I seriously am amazed by you Kara! :) GREAT JOB. Also, I wish I lived in Utah so I could go visit Tag’s. Sounds so fun. This is stunning! I love the color of the new dress!!! Wow! Amazing! You have a true talent! What an unbelievable difference between the beginning and the finished product. My dear little Miamaid Cathy came up to me at church the other day and said, “I Kara-ed this dress that I found at a thrift store!” First, I praised her for her success. Then, I came here to praise you for your positive influence. Now, I will call Webster and sell them on putting the word “Kara-ed” into the dictionary.